Asal dari Sulawesi Selatan, pemberian dari Ibu Mertua Th 1980, 35 tahun yang lalu, warna hijau tua. Beliau mengatakan bahwa Batu Guntur itu warisan dari Eyangnya yang juga diwariskan ke eyang tsb dari eyangnya…… berarti perkiraan ditemukan sekitar lebih dari 150 tahun yang lalu. 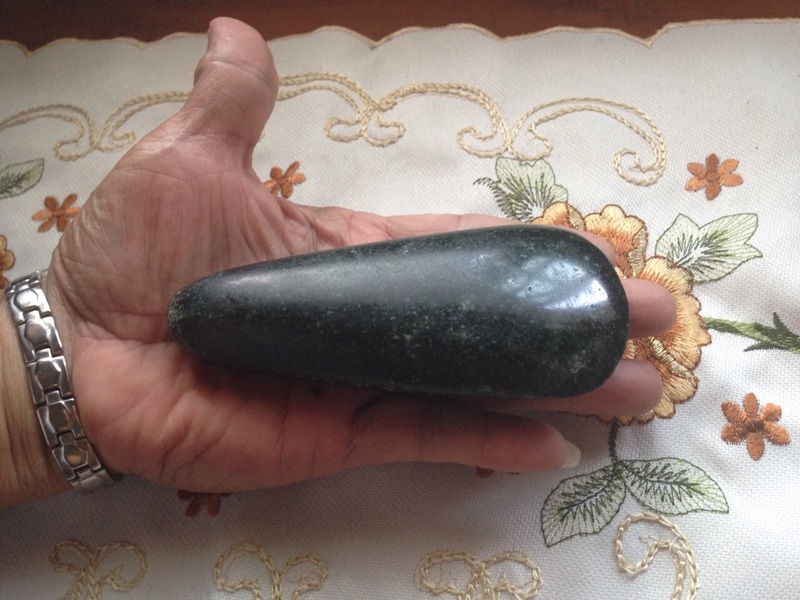 This Stone from South Sulawesi Indonesia, given by mother inlow 35 years ago (1980). Color Dark Green. She said that she got it from her grandfather…. and her grandfather got it from his grandfather……. so over 150 years ago. A 100-carat, flawless diamond is slated to be auctioned off April 21 at Sotheby’s in New York. This story was updated at 5 p.m. E.T. A 100-carat, nearly flawless diamond is slated to hit the auction block today at Sotheby’s in New York City. The crystal-clear gemstone could fetch up to $25 million, the auction house said. The gorgeous jewel, which is the largest emerald-cut, flawless diamond to be auctioned off, is the centerpiece of the Sotheby’sMagnificent Jewels auction. Diamonds may seem almost otherworldly in their beauty, but the sparkling gemstones are actually made of one of the most quotidian elements — carbon. However, unlike in hunks of coal, a diamond’s carbon atoms are organized into a highly structured lattice. Diamonds also exhibit something called maximal symmetry, meaning the bonds among the gems’ carbon atoms can’t be crushed or shifted to produce a more symmetrical shape. This is partly why diamonds look the same from any edge. “You’re talking on the order of 100 kilometers (62 miles) or more down into the Earth,” George Harlow, a geologist who specializes in mineralogy and crystallography at the American Museum of Natural History in New York City, previously told Live Science. At that time, buried carbon dioxide was heated to about 2,200 degrees Fahrenheit (1,200 degrees Celsius), then compressed with a mind-crushing pressure of 725,000 pounds per square inch (4.93 million kilopascals), according to a 2012 study in the journal Nature. After enduring this subterranean pressure cooker, the diamonds likely took an express route up to the surface via a plume of mineral-rich magma known as a kimberlite. These plumes travel at an average speed of 22 to 25 mph (35 to 40 km/h). During volcanic eruptions, debris from these magma plumes can reach twice the speed of sound, Harlow told previously Live Science. “If you were there, you would see the most impressive explosion, then immediately be dead because of the shock wave,” Harlow previously told Live Science. The diamond on auction is flawless and colorless, meaning it has no visible blemishes or inclusions, or faults, even when viewed under tenfold magnification,according to the Gemological Institute of America(GIA). Diamonds typically acquire faults during formation when little bits of other minerals found in the Earth’s mantle, such as olivine or garnet, get into the mineral, Harlow told Live Science. Other flaws come from an alternate form of carbon. Diamonds get their color from small amounts of impurities such as nitrogen, which get swapped with carbon atoms in the crystal lattice, Harlow said. A flawless diamond, by contrast, is made of pure carbon. To be flawless, a diamond’s crystal structure must also be perfect, with no tiny cracks, or mistakes, in the crystal structure, Harlow said. Most flawless diamonds were actually “perfect” sections cut from much larger hunks of rock, Harlow said. And large, 100-carat diamonds aren’t too common to begin with, he added. So the new diamond is especially unusual. “We’re talking rare upon rare,” Harlow said. Geologists still don’t know exactly how flawless diamonds form, he added. Though the current diamond would make one gigantic engagement ring, the gem isn’t anywhere close to the biggest diamond ever found. That would be the “Cullinan I” or “Star of Africa I” diamond, which clocks in at 530 carats and is mounted in the British sovereign’s royal scepter. The Star of Africa I was originally cut from a 3,106-carat monster that was unearthed in Premier Mine in Pretoria, South Africa, in 1905. But size isn’t everything. The spectacular blue Hope Diamond, which is estimated to be worth at least 250 million dollars, weighs just 45 carats. Editor’s Note: This story was edited to include additional information about flawless diamonds from George Harlow. India is a country known for its biodiversity and various famous geographical features. The mighty summits of the Himalayas or the pristine beaches of Goa and the Andaman and Nicobar Islands, India is a tourist haven and attracts millions of tourists each year. India is also a home to several perennial and non-perennial rivers and a number of fresh water and salt water lakes. Many of the Indian rivers are considered to have been created due to the influence of The Hindu Deities and are considered as sacred. Nevertheless the lakes and rivers found in India are few of the most extravagant places that offer the most wonderful and different boating experiences. Here’s the list of the most amazing boating destinations in India. Located in the Indian State of Kerala, this place is Heaven on earth, with its lush green surroundings and a plethora of various species of wild, aquatic and Avi-fauna. The backwaters are a series of lagoons and lakes formed by the Arabian Sea and are interlinked by both man-made and natural canals. These are often compared to the American Bayou but amidst the landscape various cities and towns. 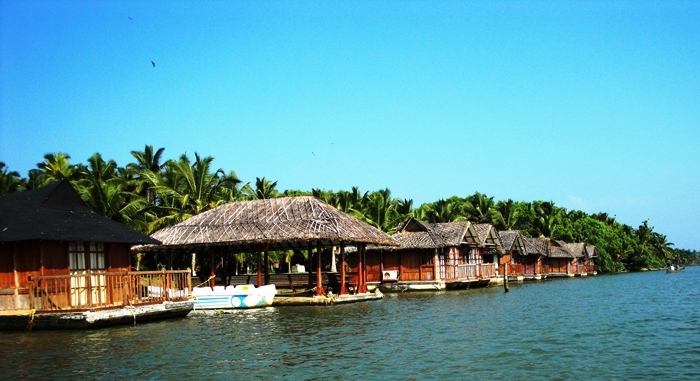 The Backwaters are famous for their amazing house boating facilities and attracts thousands of visitors. 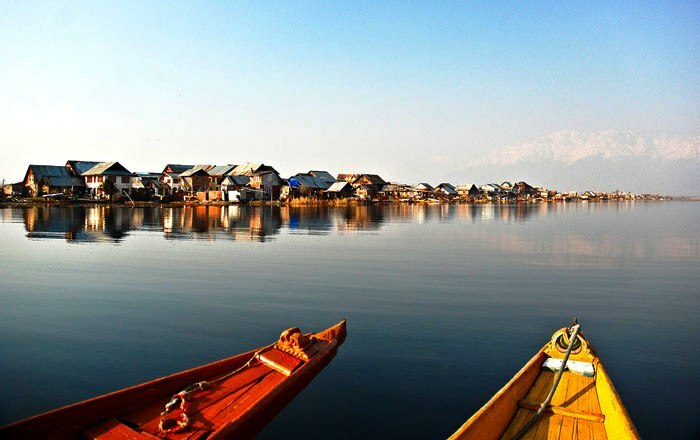 Located in the State of Jammu and Kashmir in Srinagar, Dal Lake is considered to be one of the most beautiful lakes in India. The lake is also a part of a natural wetland and famous for the floating gardens which are filled with the lotus flowers. The lake is known for its amazing and unique houseboating facilities called ‘Shikara’ and the Floating Luxury Hotels. Known in the States of Assam and Arunachal Pradesh as Siang or Dihang, The Brahmaputra River is one of the major rivers of Asia. 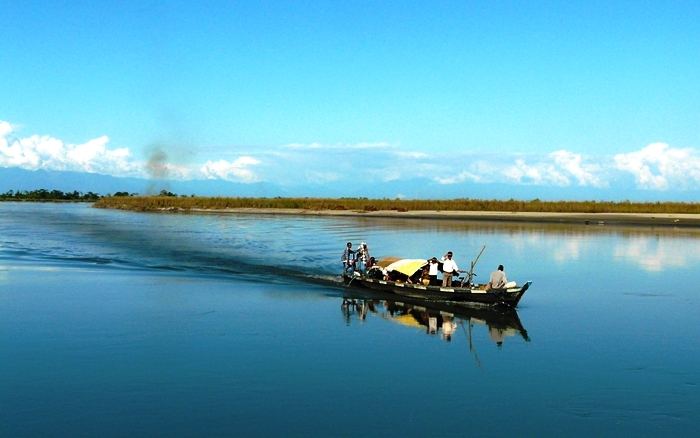 The river can be accessed from the town of Pasighat which is also known to be the gateway to Arunachal Pradesh. The river makes the region a home to huge number of flora and fauna and houses The DayingEring Sanctuary. Another great boating location is Guwahati in Assam where several cruises are offered. 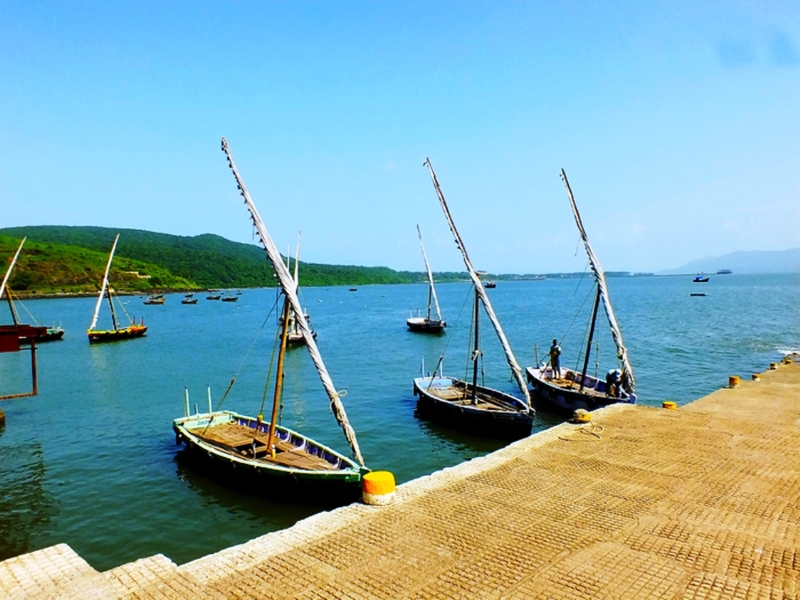 Located in Maharashtra, Alibag is a coastal town in the Konkan Region. The town is best accessed through a ferry from The Gateway of India in Mumbai and would drop you off the Mandwa Jetty. From Mandwa various buses and taxis can be availed to reach this amazing location. 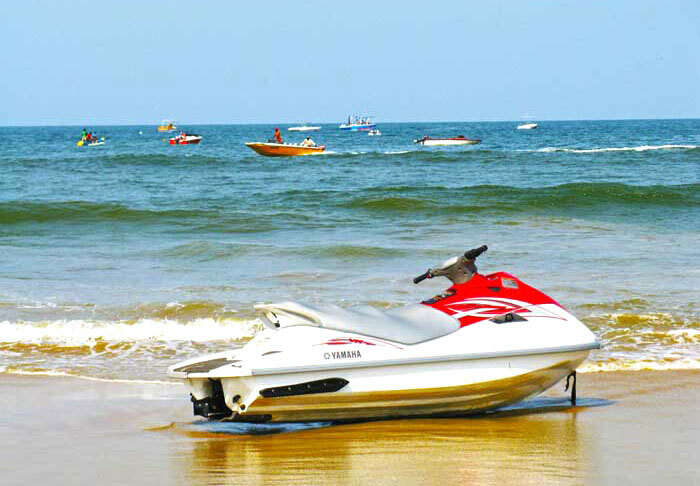 The place is known for its beaches and water sporting facilities like boating and cruising in the waters. 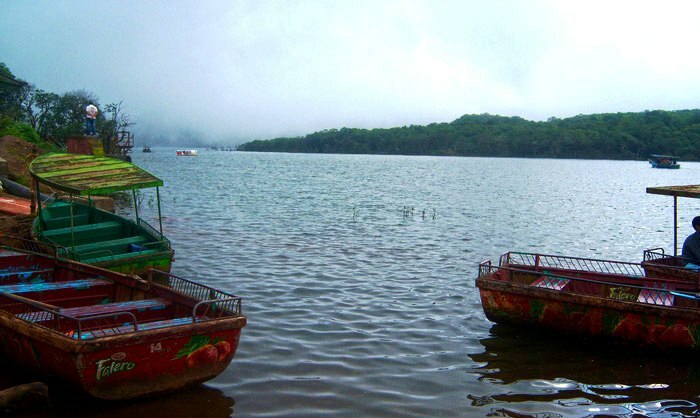 Located in Mahabaleshwar in the State of Maharashtra, Venna Lake is a man-made lake created in 1842. The amazing location of the lake and the evergreen forests of the Western Ghats make it one of the most amazing places to boat. The Lake is fed by the Krishna River that flows through the States of Maharashtra, Andhra Pradesh and Karnataka. Known as the lifeline of Kerala, The Periyar River is a perennial river and is known to house a vast number of flora and fauna and feeds the Periyar Lake. The Lake is located by the Periyar National Park and is one of the most exotic cruising locations in India. 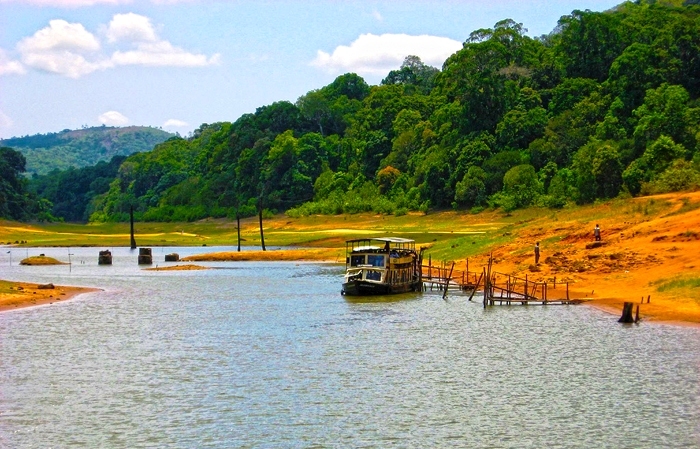 The Thekkady district of Kerala is the town that harbors this amazing location and the Boat cruise services allow an amazing experience of boating in the wild. The beach capital of India, the State of Goa is known for its exotic beaches that are visited by millions of tourists each year. The pristine beaches not only offers sun and sand but also a great verity of water sporting activities. Cruising, boating, Sail boating and Yachts are popular attractions that can be availed by the visitors. Goa is one must Visit destination for all the travelers in the world. India is a home to various lakes and rivers which form several canals and tributaries. These rivers are a major source to various types of flora and fauna and the major cause for the biodiversity India possesses. The above mentioned spots not only are great places to experience boating, but the pristine and lush green locations makes your boating experience totally unforgettable. Rohit Agarwal is the owner of Trans India Travels, a website that provides information about the various tourist destinations across India. He is an Architect by profession and his keen interest in traveling has made him an avid travel blogger. Highclere Castle—the Hampshire country home better known to fans of the PBS hit “Downton Abbey” as the opulent home of Lord and Lady Grantham—has been open for day tours for years, but soon, for the first time, those looking to take their experience to the next level will be able tobook overnight stays on the castle’s grounds. Beginning February 13, and continuing for select nights throughout the Easter public opening of Highclere Castle, interested parties will be able to stay overnight at theLondon Lodge, a smaller property on the estate about a mile from Highclere Castle. The London Lodge grounds include the original formal entry into Highclere Park, a stone archway built in 1793 by the first Earl of Carnarvon. In the 1840s, two individual lodges were built behind the archway. The lodges were built primarily from brick, though they are dressed in Coade stone, a moulding used most commonly on neoclassical buildings constructed in the 18th and 19th centuries. Because of its strong exterior (Coade stone is practically weatherproof), the lodges have remained in fair condition through the years, though they recently underwent a two-and-a-half year restoration process to fix general wear, including water damage and natural overgrowth. Both newly restored buildings are available for overnight stays. Each lodge can sleep two guests, and comes with a small kitchen, a living room, bedroom and dressing rooms. The current owners of Highclere—Lord and Lady Carnarvon—opted to create an intimate, cottage-like feel at the lodges, complete with pastel walls, charming nature prints and a wood-burning stove. Rates for the lodges begin at around $550 a night, and they are booked through the spring, though the Countess of Carnarvon hopes to add additional dates for the summer and autumn months. Those who stay overnight will also have the opportunity to purchase special packages for tours of Highclere Castle. We’re constantly glued to screens, using a computer at work and home, a tablet in bed and on the couch, and a phone in any moment not immediately engaging. And all that screen time can cause Computer Vision Syndrome (yes, that’s a real thing), headaches, dry eyes, blurred vision, and eye strain. But wearing Gunnar Optiks, the only patented and doctor recommended computer eyewear, can protect and enhance your vision. And right now you can get 20% off any pair on the landing page with promo code GUNN20. 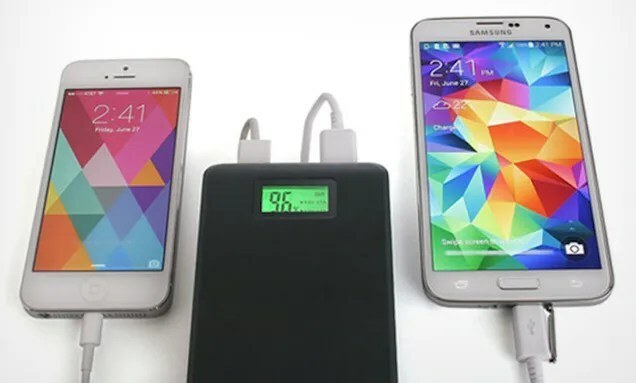 Together, this technology allows your eyes to stay fresh by preventing the symptoms typically associated with long hours in front of a screen. And they even offer prescription glasses, optimizing for both distance and computer viewing, where as typical prescription glasses are focused solely on distance use. We live in a digital world that is constantly putting us in front of more devices and screens, causing eye strain and visual fatigue. Now you can adapt accordingly and protect your eyes with20% off Gunnar Optiks using promo code GUNN20, and enjoy improved clarity and focus. The Promotions team (we’re on the business side, not editorial) negotiates special offers on notable products. Interested in partnering with us? Drop us a line atpromotions@gawker.com. By Nicole Fallon, Business News Daily Staff Writer | May 02, 2014 05:07am ET Certain personality types are more likely than others to earn a promotion in the workplace. When it comes to making decisions about whom to hire and promote, skills and prior work history are only part of the equation. As many employers know, a candidate’s attitude and personality traits play a huge role in how well that person can perform in the workplace. “Personality traits make you seek out certain jobs and affect how you fit in,” Persing told Business News Daily. When hiring managers are filling entry-level positions, they frequently screen for basic traits like reliability and organization skills, to make sure the candidate will be motivated to do the job. But when it comes time to promote those employees, personality becomes an even more important factor, said Eric Heggestad, an industrial and organizational psychologist and a professor at the University of North Carolina at Charlotte. The “people” person. Clients, colleagues and bosses all like this person. He or she has a pleasant personality, gets along with others and is enjoyable to be around. A people person is likely to be a good manager or team leader because of these qualities. The delegator. When lower-level employees are given the opportunity to work on a group project, there will always be at least one who assumes the position of leader. This person knows how to give constructive feedback and delegate tasks based on the team members’ strengths. The adapter. This person learns very quickly and is able to adjust to any task or work environment. His or her intelligence and intuition will help in figuring out how to tackle a new role. The decider. A person who is decisive and confident in his or her decisions is a great fit for a leadership position. The ability to choose a direction quickly and effectively is essential for a strategy-based role. The ethical person. No matter what the employee’s role is, his or her actions are guided by a sense of ethics and integrity. This person won’t compromise his or her morals or try to get ahead at the expense of other colleagues. Hiring managers who choose to conduct formal personality assessments of a candidate or current employee are cautioned to do their research on commercially available tests and only use well-validated measures, Hogan said.